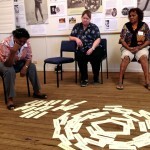 Over 20 people attended a two-day Women’s workshop run by the Ration Shed . 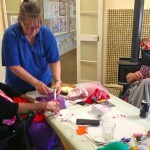 The “Many Threads” workshops was about connection, friendship, creativity and healing – a safe space where women could meet, talk and make something creative. 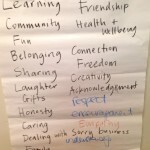 These workshops promote connection and mental and physical well being. 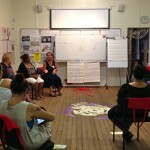 The workshop was facilitated by NVC facilitator Kate Raffin and Indigenous consultant, Grace Bond. 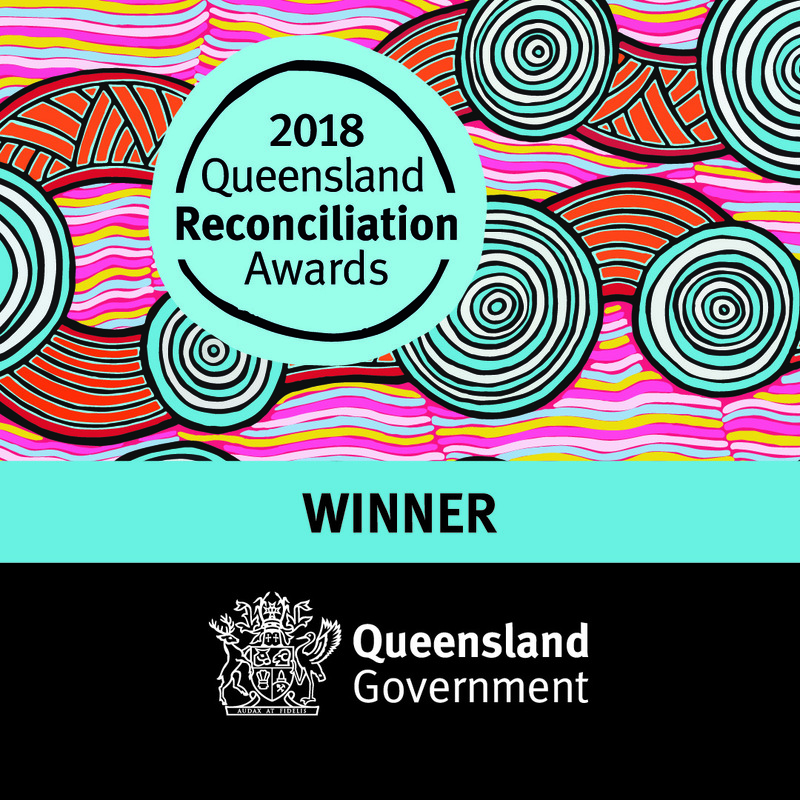 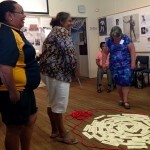 There was laughter and tears in the yarning circle as participants engaged with various Women’s issues. 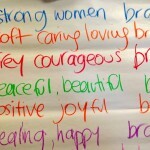 Women explored what holds them back, what keeps them strong, where they get our inspiration from . 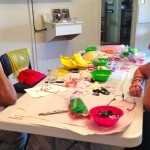 Each women decorated a bra or singlet that reflected their interests and strengths. 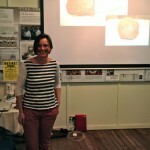 Museum curator, Jo Beasley, put together a PowerPoint of archive photographs from our Memory Project as well as bits of research she had collected. 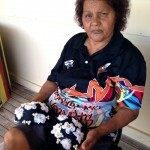 Participants spoke about their Elders and how they had survived and thrived. 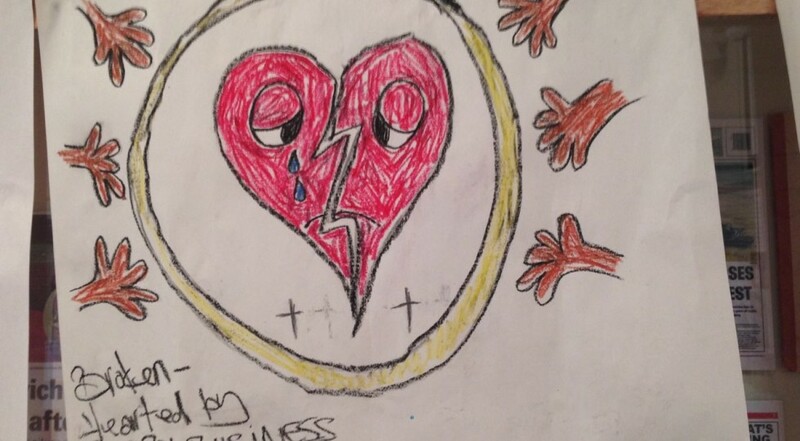 Everyone benefitted so much from these interactions. 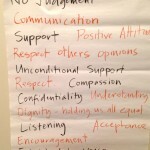 The feedback we received from the participants was very positive. 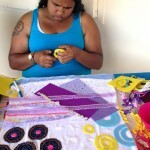 We’re hoping to find funding to keep these yarning circles and creative workshops going. 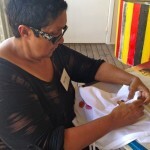 This workshop was funded by the ICC now know as the IAS.